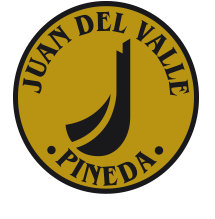 Juan del Valle, An Exquisite Delicacy. Since 1940, we’re proud of the unequaled flavor of our Cured Ham and Pork Shoulder. Its texture and smooth palate make it an exquisite delicacy, bound to satisfy even the most discriminating consumers. We guarantee a ham with thin ribbons of fat infiltration, thereby providing a pleasant aroma and texture, all of which allows us to enjoy its delicious taste. Cured in natural cellars, in the favorable microclimate of the pasturelands in Cordoba’s northern mountain range (Sierra Norte). The generous conditions of this region’s clean environment and a low salt content, allow for a slow, unhurried curation. A ham of intense flavor, with a soft texture to the palate and fat and fluid slice; cured in natural cellar; all from pigs reared in the meadow of the Cordoba´s northern mountain range (Sierra Norte), fed on acorns. Selected from females or castrated males. Hams from field pigs, raised in the meadow of Cordoba´s northern mountain range (Sierra Norte), fed with cereals, grasses and acorns, selected from females or castrated males. Extra-fat hams with a low salt content, which allows a careful and prolonged curing in natural winery, which gives them an exquisite aroma and flavor, and a juicy texture, making them the favorites of our customers. Selected from females or castrated males of the Duroc breed.